Liverpool striker Mohamed Salah has been referred to the police by his club after he was apparently filmed using a mobile phone while driving. Merseyside Police confirmed in a tweet that the video had been passed to the “relevant department”. They added that any follow-up action on the Egypt international would be dealt with “internally”. 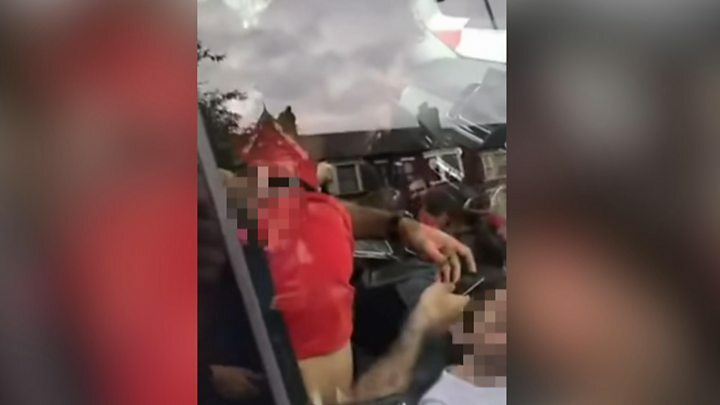 The video, which has been circulated on Twitter, appears to show the player, who scored 44 goals for Liverpool last season, using his phone while behind the wheel as his car is surrounded by fans, including children.